Spot welding is the perfect assembly method for joint this sheet metal components together. 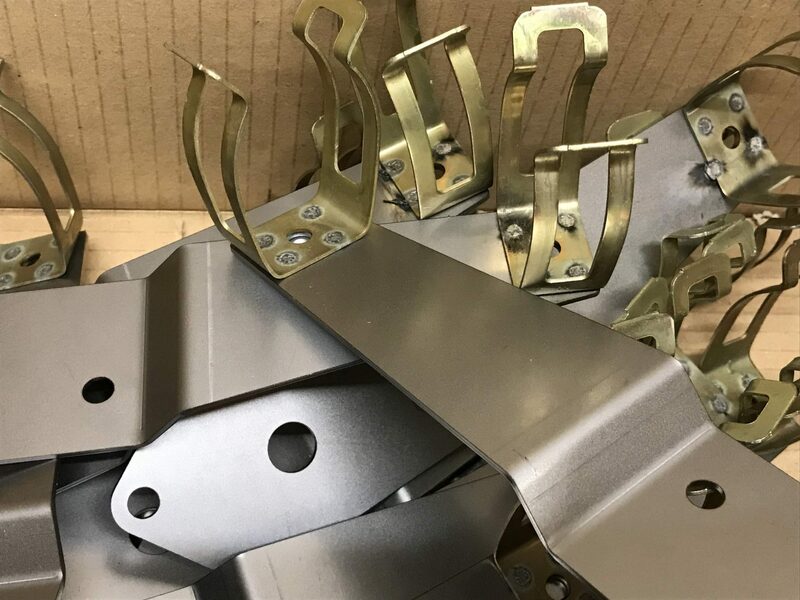 We would use spot welding processes when the components are manufactured form mild steel, Zintec, galvanised steel and stainless steel. We tend not to spot weld aluminium parts and would look to one of the other processes shown here for those parts. 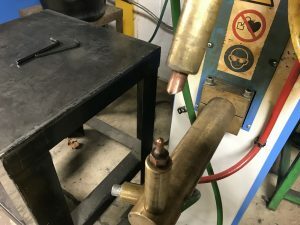 Spot welding is cheap and quick to perform. With simple alignment jigs spot welding is idea for low and high volume batches of assemblies. For a quick view of spot welding in action take a look at our YouTube channel. 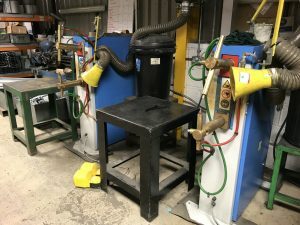 Tack welding using a TiG welding gun is a flexible method of assembling sheet metal housings and enclosures. 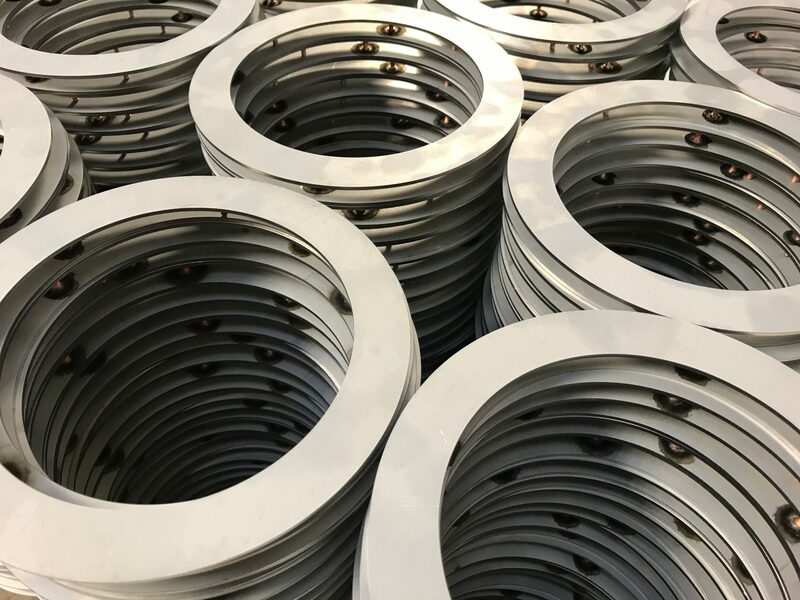 With simple jigs or sometimes deigning the parts for automatic assembly at the welding stage parts can be assembled with very little fuss. 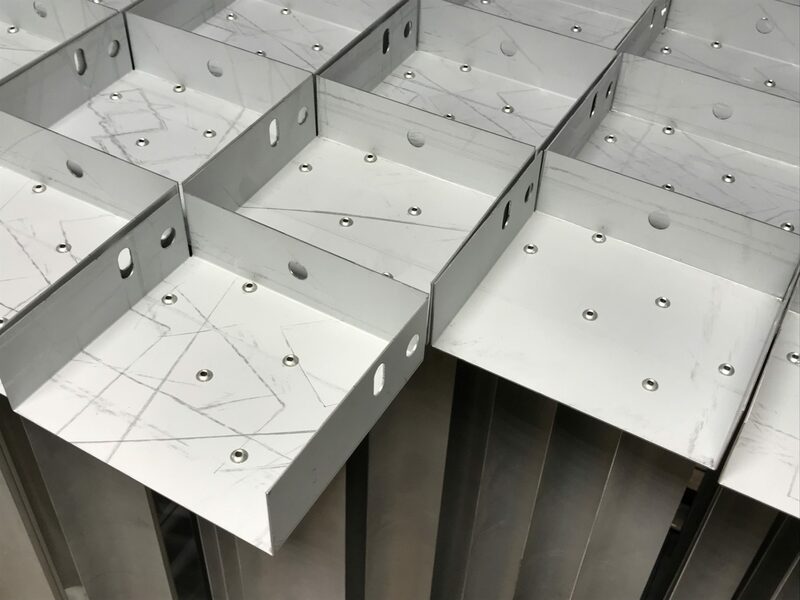 Theses stainless steel housings were assembled together from a number of components to create a range of attractive wall mounted lanterns. 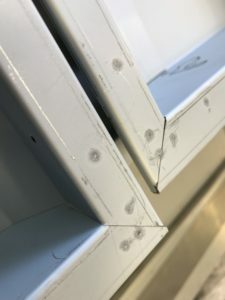 The heat marks and weld penetration pips can be quickly cleaned off. 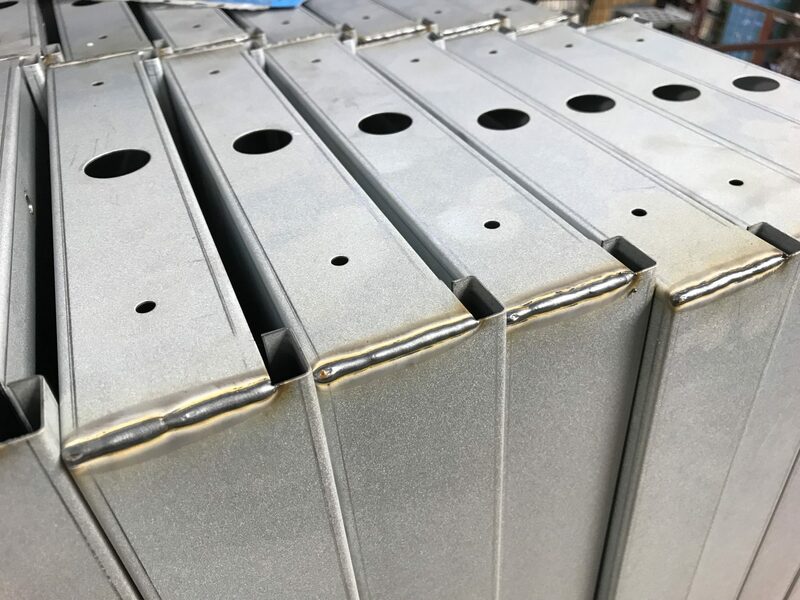 In this case the housings were powder coated and showed no signs in the welding process. 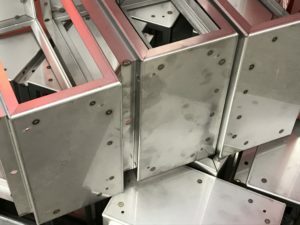 Pop rivets are a quick and cheap method for producing sheet metal assemblies. Dissimilar metals and gauges can be joined together without any problems. 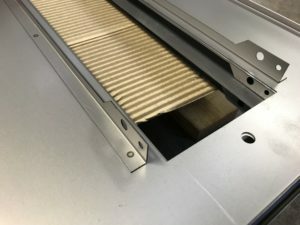 There should be no alignment problems either, as the holes can be CNC punched or laser cut in the right place in each part and then brought together with the pop rivet gun without the need for special alignment jigs. The process is also very reliable without the need to continually test in production joints as with spot welding. Stud welding is a useful technique to enable us to fix a stud in position with no witness on the other side of the sheet metal. From about 1.5mm and upwards there is no witness on the reverse side to the stud. Under this gauge there can be a slight mark which can easily be cleaned off. This assembly technique is idea when panels are going to be powder coated. These ceiling adaptor rings are a perfect example of using this technique to produce clean surfaces. 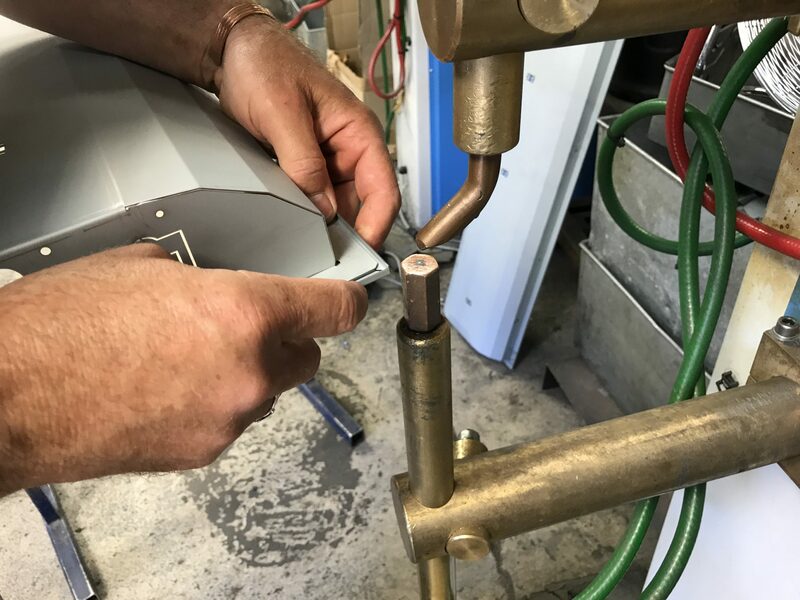 All we have to do is produce a simple jig to enable us to locate the head of the stud welding gun in the correct position and then fire on the stud. 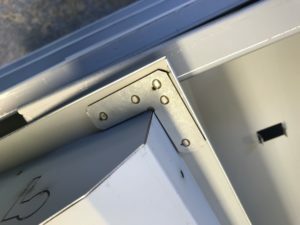 Where a stronger, water or light tight joint is needed then perhaps a continuous seam weld is the solution. TiG welding either ferrous or non-ferrous materials can produce a neat joint. After welding the seam can be cleaned off using a range of grinders and orbital sanders. Again if this joint is then powder coated there will be no evidence of the initial welding process. The radius of the cleaned off weld can be made to look the same as any bend radii producing a pleasant feel to the complete housing. Should you want further information on the right process to select for your design then please give us a call. We are always to advise you and offer price options where needed.